Description: This product has been formulated to assist in the healing of new and old injuries, varicose veins, sprains, curvature of the spine, localized tremors, skin eruptions and pulled muscles. Use back of thumbnail to remove salve, then rub onto skin until warm. Wipe off after application to prevent clothes from staining. Ingredients: White Oak, Comfery, Gravel Root, Marshmallow, Shavegrass, Black Walnut Leaves, Wormwood, Mullein, Oat Straw, Lobelia, Scullcap, Olive Oil, Beeswax, Vitamin E Oil, Birch Oil and Thyme Oil. Insect bites, ringworm, scabies, animal wounds, infectious wounds etc. 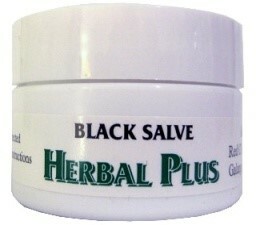 Designed to help with arthritis, sore muscles, stiff necks, headaches etc. Helps dry, chapped lips, skin blemishes, scrapes and cuts and diaper rash.